IQComputing is dedicated to providing businesses St Louis and beyond with a high quality full-service custom St Louis web design and website development experience. Your business website is more than just a presence; it's the welcome mat, the salesperson, the lead generator and everything else that makes up who you are. Our team provides you with a wide range of disciplines that carefully address every step of the process from discovery and consulting to the conceptual layout of your responsive, mobile-first web development. IQComputing's custom St Louis web design services and advanced St Louis website development solutions are backed by years of experience. Our vision, experience, and ability to understand your organization give us the unique perspective to design websites that can impact your bottom line. 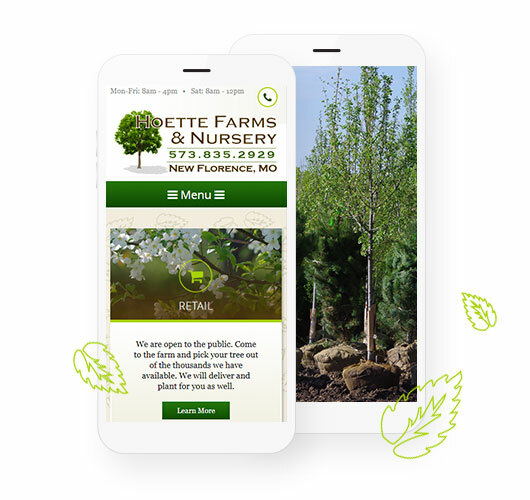 From corporate branding to online stores, our custom St Louis website design is the answer to stay competitive. 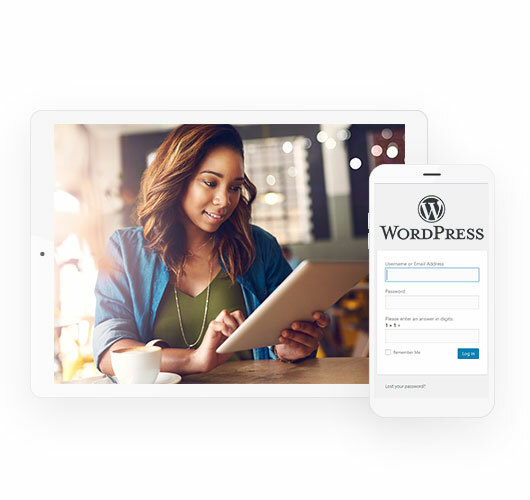 Powered by the leading content management system on the Internet, WordPress, you can manage your own content (even for very large or complex websites) and thanks to built-in mobile-friendly responsive layers, you can reach smartphones and tablets of all sizes. One-up the competition with custom website design! In today’s rapidly evolving business climate, your competitors are always seeking to get ahead. Take advantage of our St Louis custom website design services to create original and unique websites that make the Internet work for your business and not the other way around. If the phone isn’t ringing, what’s the point? Most service businesses have business models that are too complex or don’t lend themselves to a widget-based sales model. Our St Louis web design is focused on generating leads with calls to action and digital marketing solutions to drive traffic! Make sales – Let’s make it easy to buy online. Whether it’s the centerpiece of your website or a bolted-on upgrade, we can make e-commerce websites a reality for your company. 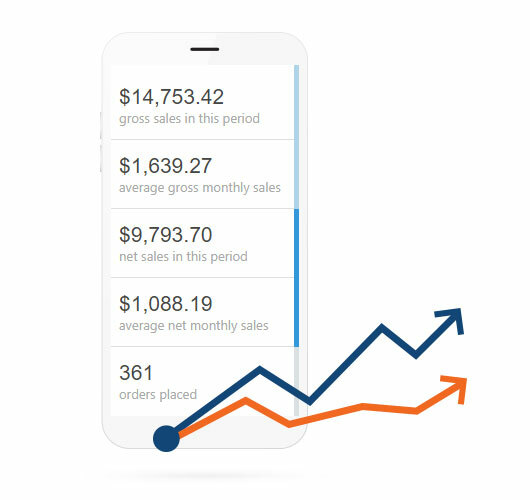 Add spark to your custom e-commerce website with real-time shipping, automatic tax calculation, inventory management and more! Improve operational efficiencies – Save time! Looking to offer a distributor portal or a web-based request for quote (RFQ) system? We’ve got your back! Leveraging the power of WordPress, our team can design and build a system that saves time with custom WordPress web development. At IQComputing, providing outstanding service is at the core of our business services. Every aspect of your project is designed and executed with passion and a desire to deliver an outstanding result. From corporate identities to online stores, our services balance business needs with budget for optimal results, helping you reach a wider audience! Most websites today are viewable by modern browsers, but we take this a step further and offer you responsive websites that automatically adapt the desktop experience to smartphones, mobile devices, and tablets without any extra work on your part. Your visitors will appreciate the ability to view content without having to pinch/zoom while you receive organic search engine (SEO) benefits as a result of having an integrated mobile version of your website. Curious about what responsive websites are all about? See more information about St Louis responsive web design and Google’s Responsive Web Design Basics page. The World Wide Web Consortium (W3C) is an internationally community dedicated to the development of the standards that make up much of the Internet. We deploy underlying markup that is compliant with W3C HTML 5 standards wherever possible with your website. This approach helps to future-proof your website for use with new browser versions and can also facilitate the indexing process by search engines as they crawl your website. Websites are also tested in all four major browsers to ensure a consistent experience across Firefox, Chrome, Internet Explorer 11, Edge, and Safari. Your visitors shouldn’t have to do anything extra to print content from your website, so we build this right into pages. Wherever possible, your pages can be printed with results tailored specifically for printing (this includes the removal of unnecessary screen and navigational elements such as navigation bars). Want visitors to connect to your social media sites? We can build quick links throughout your website’s interface and even optionally add feeds that display the latest content from your social media feeds. Save time with simultaneous social media property posting (add a post to your blog and push it out to Twitter and Facebook accounts automatically). Just ask us how! When considering website features, most websites have a broad range of visitor demographics. IQComputing takes that into account when building your website. We offer fully fluid and traditional center-screen designs combined with text-based navigation to enable visitors who use browsing assistance software to browse your website. Adobe Flash has long since been replaced by HTML 5 features to reach the most devices and browsers possible. Whether or not you want to add our optional organic search engine optimization (SEO) services, your website includes inherent baseline SEO features. This means that search engine-friendly URLs and a structured approach to paths are built right into the core of your website. Your website will also be provisioned with Google Analytics on every front-end page. This reporting system can be setup to email you automatic traffic and visitor reports that include geographic insights (such as website referrers, where your visitors are coming from, how long they spend on your website and even such information as bounce rate as well as pages that receive the most results). 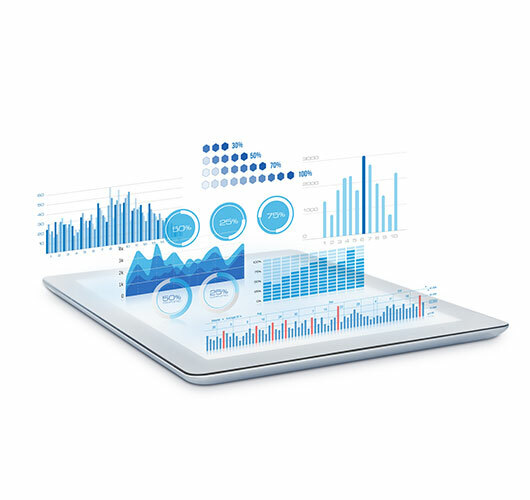 At the very least an analytics dashboard and baseline SEO practices should be incorporated into the website features of even the simplest website. Is your site looking stale? Let us help!